Semperit Tyres are an Austrian tyre manufacturar, they have been producing tyres since the 1900 but only became known as Semperit in 1906. Semperit means \"it always runs\" in latin, this name/slogan gave the company a clear objective to produce quality tyrs that always work in any situation. As you can imagine they have come on a long way since 1900 and now produce tyres for passenger cars and vans. Semperit’s Vanlife tyres are a great choice that suits any situation you may encounter and every journey you want to make. 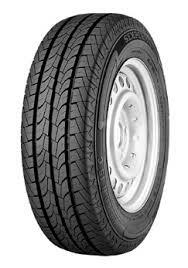 Their durability has been enhanced to support the extra weight of any load and goods you have to transport and with a high level of wear resistance accompanying it these tyres are built to last. You’ll also enjoy great performance qualities such as traction and stability as well as more comfortable ride from reduced road noise and a smoother journey. Choose Vanlife tyres from Semperit for all your needs.